When a picture represents a record well, it is helpful to see a picture when viewing a list of records within an application. 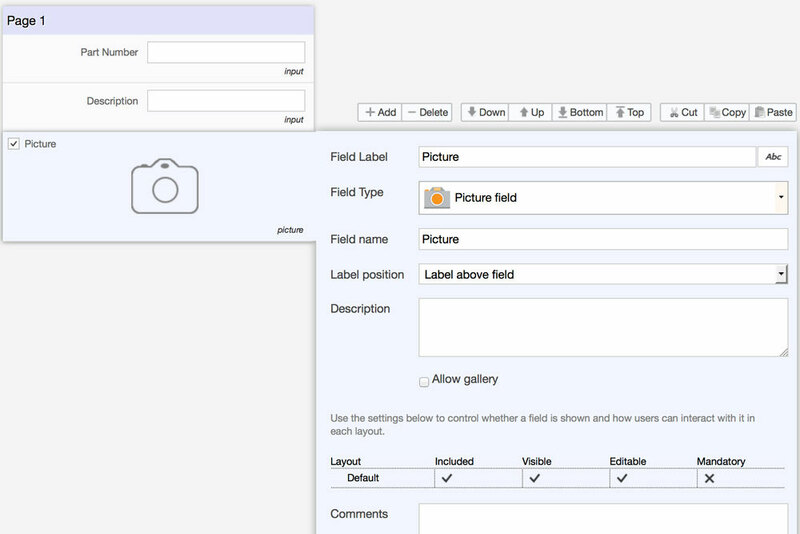 In Flowfinity, Administrators can allow users to see picture fields when viewing lists of records. These thumbnail views add context to the list and can help users find relevant records quickly. A field technician performing work on-site uses a number of different replacement parts that have similar names. To help identify the appropriate part, the administrator shows a picture of the part. 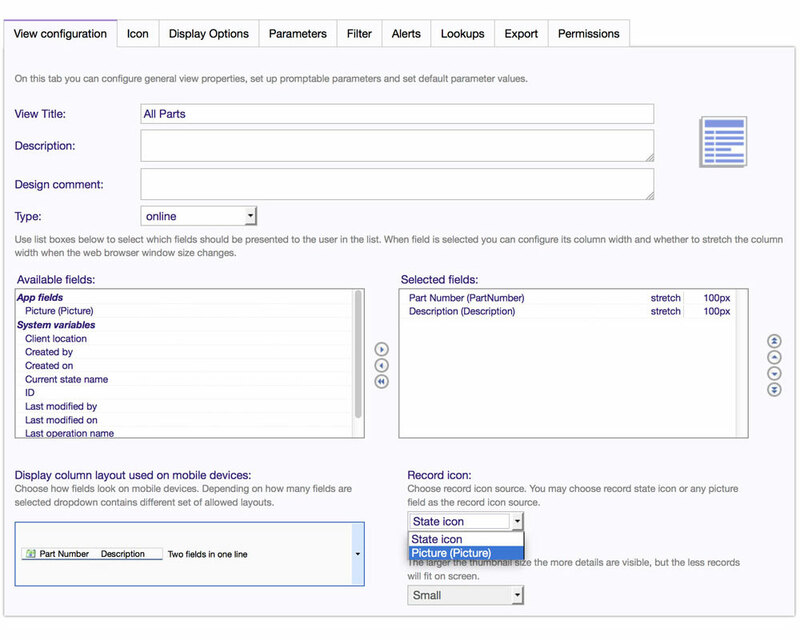 When the 'All Parts' view is used the user will see the picture of the part at the left side of the other fields chosen for display, Part Number and Description in the example.